We are pleased to announce the stable release of SupportPal 2.3.1 which contains many improvements, including internal self-service types, social login options for users and ticket attachment previews. We’ve also released an integration with the Blesta billing system and a plugin to connect with WooCommerce stores. We recommend that you read our upgrade guide before upgrading. Download the release at our downloads area (login required), and view the full changelog in our release notes. There are a number of self-service focused improvements in this release. The first being the ability to create types that are only accessible from within the operator panel. This allows you to create an operator specific knowledgebase and other internal self-service areas. It’s also now possible to set up a type that is just an external link. This makes it easier to link to different portals or websites, for example a separate documentation area, without needing to modify the template. A custom published date and time can be set for articles. The order in which articles are displayed can be changed for each type. 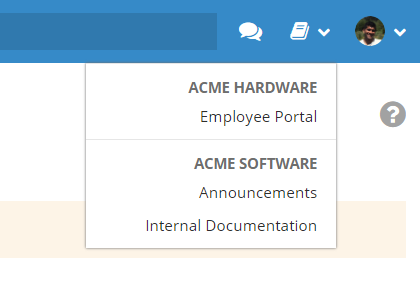 Important articles within list view types can be pinned to the top of the list. Give users the choice to sign up and log in with their favourite social media account, a great alternative to remembering yet another password. 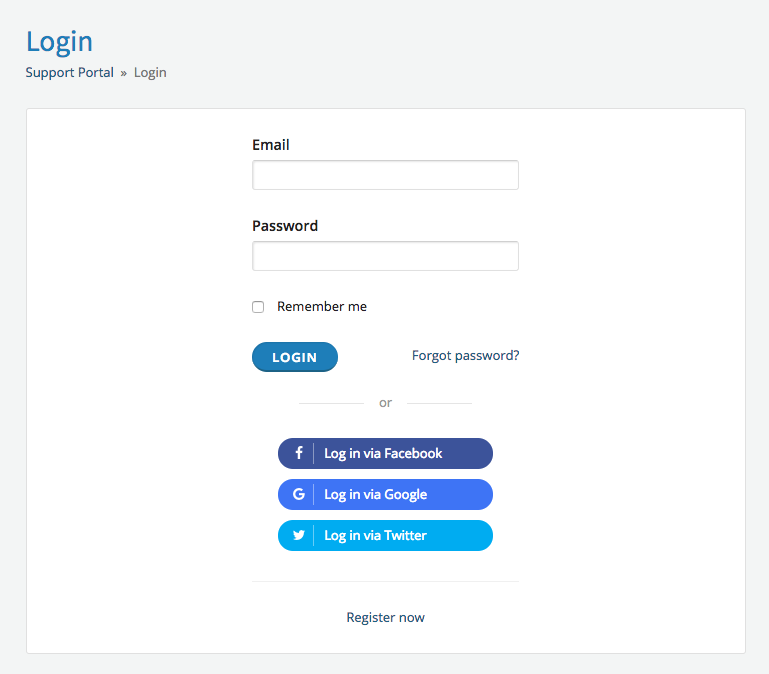 Facebook, Google, Steam and Twitter are currently supported, find out more about configuring social login. Preview images, audio and video files directly in the browser without having to download them first. This makes it much quicker to work on tickets with a lot of attachments, especially if you need to refer to an attachment more than once. Make the help desk your own with our new easy branding options. A colour can be chosen for each brand for which a matching colour scheme will then be automatically applied throughout the system. A page favicon and operator panel icon can be set from the brand settings and also a URL for the frontend logo if you want it to point to somewhere other than the frontend home. We’ve released an integration with Blesta which makes use of SupportPal for tickets and announcements, and allows your users to open and reply to SupportPal tickets within their client area account. A plugin is also included in SupportPal that shows account and service details for users from Blesta. Our migration script has also been updated to include an option to migrate relevant existing data from Blesta. We’ve also included a plugin to connect to WooCommerce stores, so you can provide great support to your customers seamlessly. The plugin shows details about the customer, their orders and payments to you, and allows them to select a related order when opening a ticket. 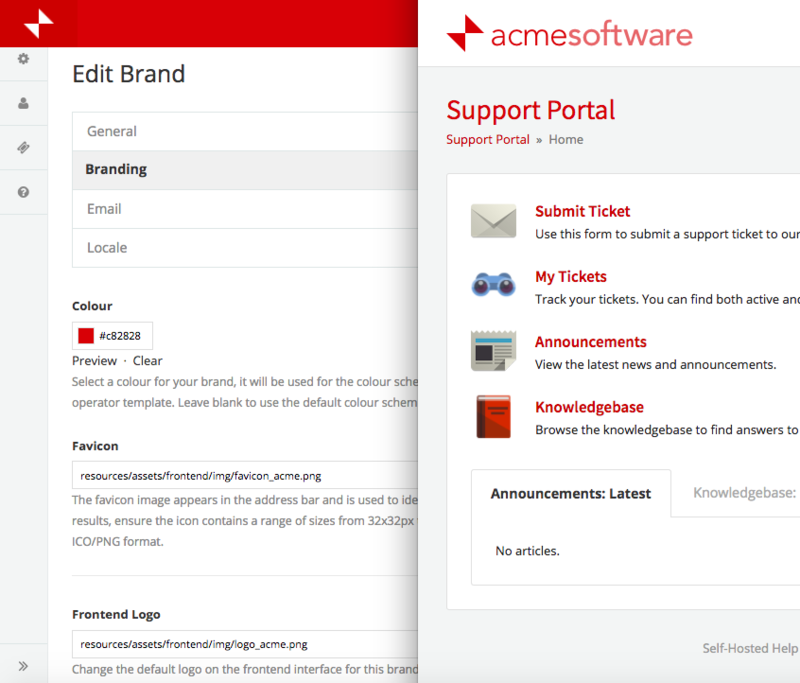 Change brand on ticket - Easily move tickets between brands by clicking the red dotted line under the brand name in the ticket view sidebar. Ticket grid footer - The footer now sticks to the bottom of the page when one or more tickets are selected, so it’s much faster to perform actions on multiple tickets. Support for reCAPTCHA v2 - Google reCAPTCHA v2 and invisible reCAPTCHA can be configured in place of the default captcha. Reports - Several new reports have been included that help measure how busy the help desk is. We've updated the download to patch the Facebook integration for new users that were having trouble generating access tokens, related to the app review process update. Existing users of 2.3.1 do not need to do anything. There was a problem loading the comments.